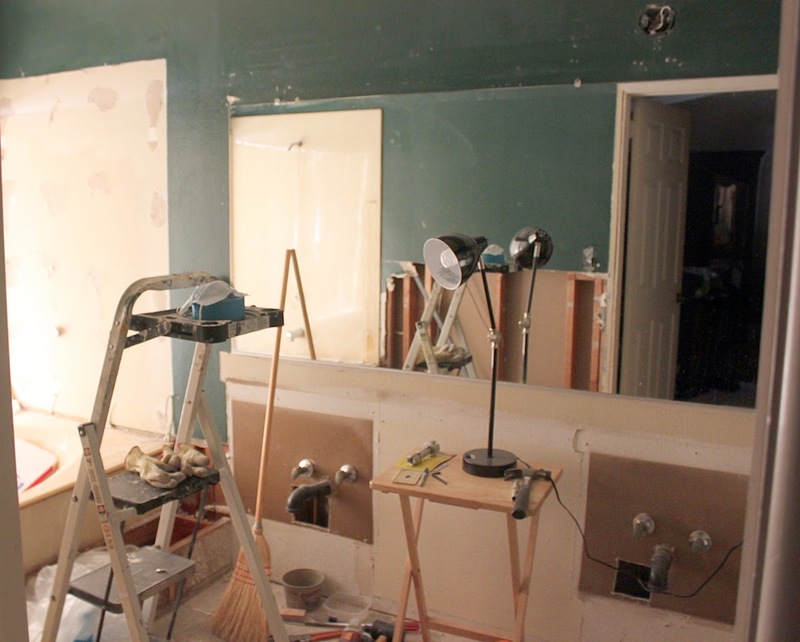 The kitchen remodel continues, a bit more slowly now that hubby has started the concurrent master bath remodel** and the annual September heatwave has hit. Temps in the 90's are outside hubby's work comfort zone - by request of his wife, who'd rather not take him to the ER with heat exhaustion . . . 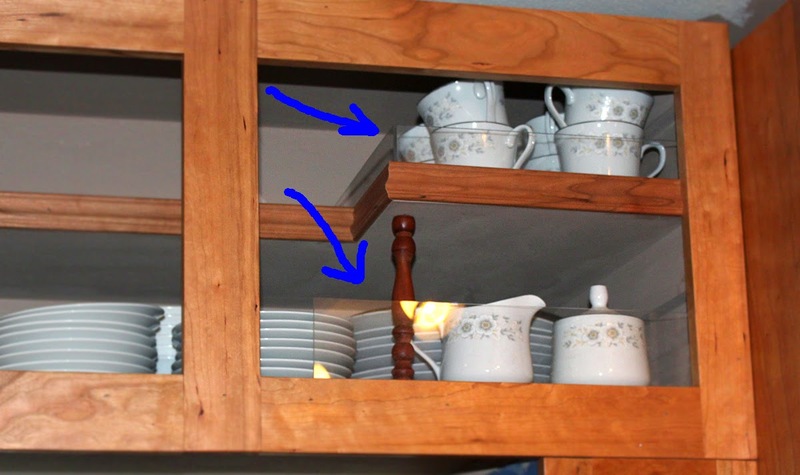 The latest addition is the cabinet above the fridge that hubby designed to hold my china. Turns out, it's so big it will hold the china (on the right), my Christmas service (on the left), and all the crystal glasses we use for "special" (the empty top shelf). But what would happen to all that glass in an earthquake, you ask? Hubby's genius idea was to put in hard plastic walls to keep things from "walking" off the shelf in a quake. It probably won't stop them from bouncing out in a big shaker, but it will definitely help during the smaller quakes we usually get. 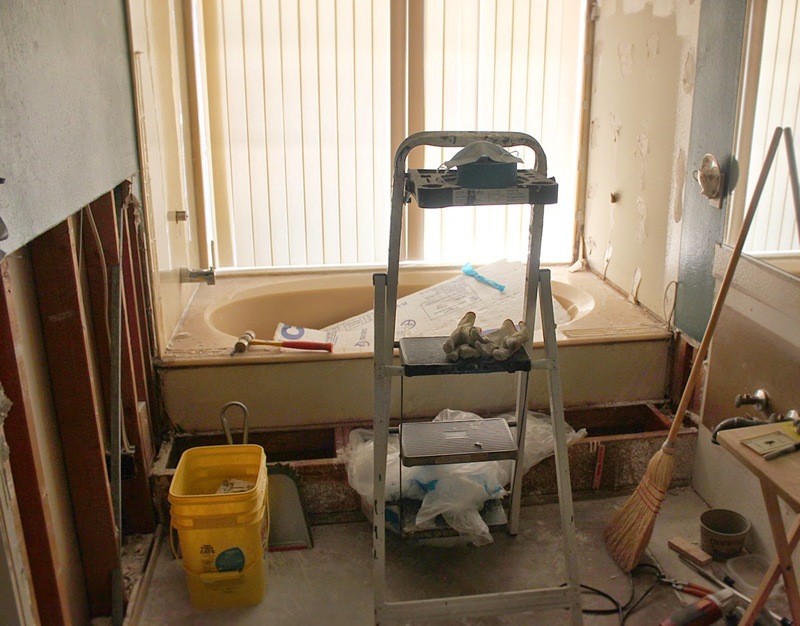 *Bathroom remodel: A very excited Leanne met me at the door when I got home Friday night with "Granma, come see what I did!!!" Yeah, I'm betting PopPop had a hand in that too. 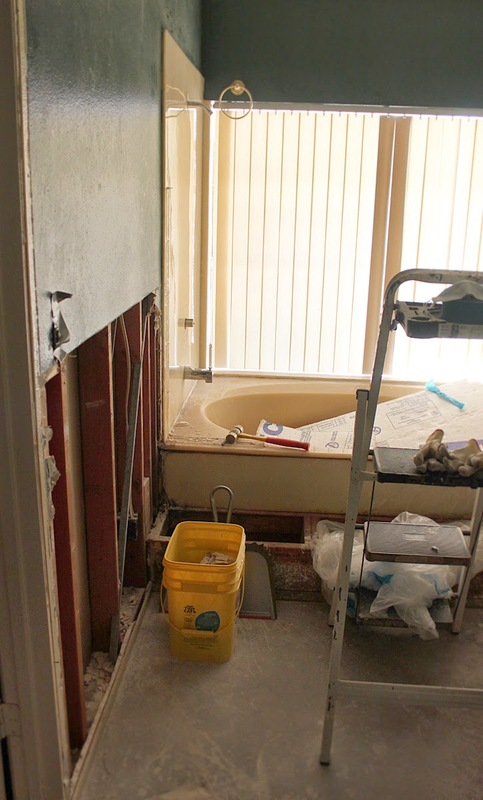 New bathtub is ordered and new sinks have arrived; new cabinets are built and ready to install. Progress!